Weight loss supplements can be a benefit or damage your body. You can take any weight loss supplements during a fast but beware of herbal stimulants. Modern herbal extractions are powerful concentrates and can have the adrenal kick of 20 cups of coffee. Sure, your metabolism will increase, and the desire for food will lessen, but your body is in overdrive. 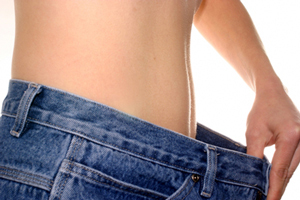 Weight loss supplements that act as stimulants decrease the body resistance to disease and stress the nervous system. I have even read of cases of nervous breakdown due to herbal weight loss stimulants. The single, safe way to lose weight is through a combination of fasting, a diet high in raw foods and exercise. You don’t want an expensive program but something you can do for the rest of your life. The only serious way to weight loss is through discipline and changing how we think about food. When you reach 99 years of age, you want to be eating healthy, exercising and periodically fasting because you developed a disciplined lifestyle and maintained it through your 50s, 60s, and on up through your 90s. There are many authors that have the opinion that weight loss supplements are a band aid for lack of discipline and healthy eating. But I am of the option that they can assist weight loss during a fast. Post your stories of weight loss supplements. I have to confess, I have used a metabospeed booster pill and a fat burning pill on a fast. It does work wonders though even though it can be considered cheating lol. But those who do have a slower metabolism…weight loss pills can truly help. Does anyone know how slim quick works on a fast.